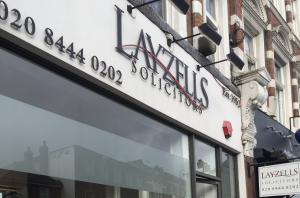 Formed in 1952, as a result of subsequent mergers Layzells is now one of the leading practices in North London in property and private client matters. Our friendly, open, and professional approach enables us to deliver legal solutions appropriate to the needs of both private individuals and businesses. Layzells prides itself on its community links and its deserved reputation for being accessible and reliable. The firm offers a traditional service and always strives to put the needs of the client first at all times. Our wealth of experience, together with a modern approach, allows us to provide a cutting edge service to solving and managing legal problems.